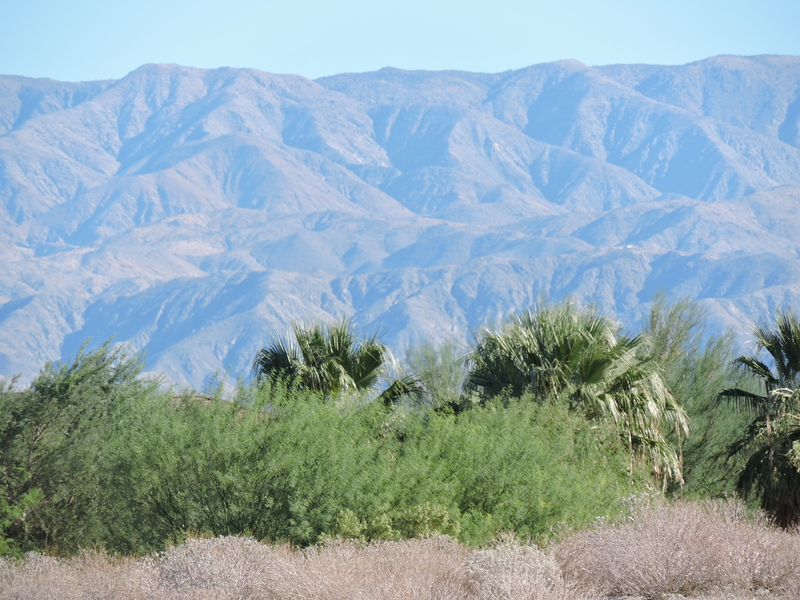 The desert pares the mind down to the essentials of human existence. Emptiness concentrates, even as luxury dissipates. In the lush woods and streams of classical Greece, people discovered a thousand gods and nymphs, but the Israelites in their barren wilderness could conceive of only one all-determining force, which was their Father, Lawgiver, and Commander of the Army. So it should not be surprising that, when I visited my sister and her family at their home near the Mojave, the conversation turned metaphysical. I began with a story I recently told here. Our way of life, I said, resembles a confused version of Christianity – Christianity with a hole in its logic. We espouse humanitarian ideals like love, compassion, and equality, but we fail to attach them to any necessary cause. These are, of course, Christian ideals. They were once attached to God and the Ten Commandments. God, in old days, was the necessary cause. This makes the framework that sustains our way of life a poor, contingent thing. I will humanitarianism. But my next door neighbor may will cannibalism. I can have no moral or logical objections to his choice – he and I, humanitarian and cannibal, must point equally to our internal states, our desires, to justify our lives. My sister seemed surprised that I identified the humanitarian way of life with Christianity. To her, the two were quite distinct. She had a different story to tell. In the beginning, she said, people worshipped dissolute gods and allowed themselves immoral and inhumane behavior. They did so out of ignorance. They lacked awareness. In time, with the progress of the human spirit, they – that is, we – came to understand the superiority of humanitarian principles, of kindness, compassion, equality, toleration, and the rest. These, she insisted, were not particularly Christian ideals, but universal, self-evident goods. For many centuries we needed a strict, moral God to command and enforce them, much as children need a stern father to enforce good behavior. But that is no longer necessary. Humanity is now grown up, and humanitarian principles can stand on their own merit. Atheist and Christian alike acknowledge the superiority of this way of life. I asked whether humanitarianism would be self-evident to the Aztecs, who ripped the beating heart out of their sacrificial victims. My sister wouldn’t hear of it. The Aztecs, she said, were in the past. Nobody, today, rips out hearts and thinks it a good thing to do. What follows is my attempt to understand my sister’s position during that conversation in the desert, and should not be confused with her own words. If humanitarian ideals are a self-evident good, they need no defense or justification, any more than, say, eating healthy food to stay alive needs a defense or justification. All that’s required is an adult understanding of reality. Given enough time, the entire human race must converge on these ideals: Christian, Muslim, Buddhist, Hindu, Jew, wiccan, Hegelian, Neoplatonist, Confucian, agnostic, atheist, animist, environmentalist, socialist, Republican, Democrat, all will end as one in the humanitarian gathering-place. Ignorant or evil persons or groups may reject our way of life – exemplified, in typically unimaginative web disputes, by Hitler and the Nazis. But Hitler and the Nazis are not a viable alternative to humanitarian principles. They are a pathological denial of the reality of human progress. This is theodicy: the idea that the evidence of the universe endorses our values. This is also what Karl Popper called historicism: the idea that the machinery of history produces intelligible and predictable patterns, in this case nudging all of humanity in the direction of the post-Christian West. The implication seems to be that, in matters of morality, everyone will end up just like us. I suspect that many people who support humanitarian ideals share my sister’s position on their inevitability. President Obama is certainly among them. When he refers, as he often does, to the “right side of history,” he means “the predictable direction of the future” rather than “the correct moral (or political) posture for the present” – although, as with every theodicy, the two for him are really the same. One effect is passivity in the face of contradiction. President Obama, for example, has conducted a notoriously passive foreign policy. Why not? He has faith that history must move in his direction anyhow. Those who share the president’s creed tend to be reluctant to assert or propagate it, even while hostile voices rant from the rooftops. It may be that they, too, feel certain that mere inertia will deliver a happy future. There is no empirical evidence that the human race is becoming kindlier or more humanitarian. A case has been made – by Stephen Pinker among others – that we are “less violent than ever,” but this is connected to the monopolization of violence by the state, rather than to any progress in human nature. It may also be a temporary development. A decrease in violence, in any event, is by no means identical to an increase in tolerance, generosity, egalitarianism, or the humanitarian spirit generally. Today we are divided against ourselves, alienated from our institutions, and vocally angry at those who are not exactly like us. Our historical moment, I predict, will not be remembered for its loving-kindness. A theodicy, however, never pretends to be an empirical hypothesis, but is what Isaiah Berlin labelled a “metaphysical attitude.” Theodicy provides the categories that give meaning to empirical data: it exists a priori, and, as with every system of meaning, it is either intuited to be true or not. My sister intuits an inevitability to moral progress. I don’t. Though our temperaments differ, we largely pursue the same ideals of behavior. The question that divides us is whether these ideals are metaphysically necessary and inexorable, or imposed, in a wholly contingent manner, by the will. There is a path out of the controversy – a middle ground that has provided the theme for this blog. If our way of life has been made and unmade by history, and not by God or some cosmic force, then we must treat history with a great deal of respect, and break loose from our own past with a great deal of care and self-awareness. In the domain of morals, and hence of politics, at least, we are what we were, and no amount of unhappiness with our present condition should confuse us into believing we can commune with God or nature or science and so transcend, socially or personally, our fallible humanity. Historical change is inevitable. Consider human language: within a few centuries it becomes unintelligible. Planned radical change, on the other hand, is nearly always a disaster – at best it has turned out to be the sociopolitical equivalent of Esperanto, at worst a savage holocaust. We don’t know enough, we aren’t pure enough: and this will be true for as long as we remain human. I’m aware that such an answer runs counter to the spirit of the hour. The past, we are told, is slavery, patriarchy, economic exploitation, social exclusion, sexual bigotry, political oppression. History is the Great Satan, and we must denounce its works if we are to enter the kingdom of heaven. The angry left does this by heaving slime at every form of established authority, from religion to the university. The right, which might be supposed to respect tradition, discovers its own style of rage and repudiation in the romance of an invented past. It’s almost a relief to observe the direct approach of the Islamists: they take a jackhammer to history. These are the voices of entropy, devourer of civilizations, destroyer of worlds. If they triumph, we will inherit a great emptiness, a moral desert of negation and nihilism – and the conversation about the inevitability of humanitarian values will be settled for an age. This entry was posted on Monday, November 16th, 2015 at 11:05 am and is filed under reflections. You can follow any responses to this entry through the RSS 2.0 feed. You can leave a response, or trackback from your own site. I was just talking with my friend David yesterday about how it seems as though there are two choices dominating the field of play right now: the fundamentalist who rejects historical consciousness, and the materialist who rejects what makes us human. The fundamentalist grabs hold of first principles and projects them onto the past, where any sort of past is required; these principles are not historically contingent, but history is contingent on the principles. To believe or suggest otherwise is simply heresy. This can be literal Christian fundamentalists of course, but there are plenty of modern day rationalists to whom this applies. The materialist is still stuck in a clockwork universe. As such he is unable to draw on the wealth of resources from the western canon, and beyond—basically the framework you describe in which there’s some relationship between the Christian tradition and modern conventions is meaningless unless it can be reduced to billiard-ball causal stories, or evolutionary “just so” stories. Part of the materialist credo is exactly what aunt Gloria said—before a certain point people were simply superstitious. With the Scientific Revolution they began to shed superstition for evidence. Among philosophers, historians, and other ivory tower types it’s grown much harder to apply this story to morality, which has given birth to a thousand “just so” evolutionary stories to justify modern conventional morality through something other than mere convention. But in the court of vulgar morality, for most people or at least most educated middle class people, the story about the progressive abandonment of superstition and accumulation of knowledge is still very much held dear in the realm of morality. I don’t know that “because it is our custom” is going to cut it, though. I think your impulse that there needs to be some metaphysics there is ultimately correct, even if we need to emphasize the fragile and faith-based nature of human knowledge on this (or any) subject. The reason I say this is because custom itself has a kind of internal reasoning to it, which is used to settle disputes and often is the basis of why it changes over time. It would be nice to have some basis for saying that a given change, or even a given preservation, was good or bad, relative to the alternative. I actually am more optimistic these days about what we are capable of, though only because I started out from a position of extreme skepticism and pessimism (nothing like starting with low expectations). Custom, to me, is much like language—meaning that the customs of a foreign or historic people aren’t completely unintelligible to me, and can in fact be both learned from, criticized, and even used as the basis to criticize our own customs. I don’t think that we can gaze into the unblemished ultimate, but I do think we can reasonably talk about right and wrong. Apologies for the long, rambling comment.